Clare Hammond returns to Beaumaris Festival to perform a programme of Beethoven, Debussy, Fauré and Stravinsky. Gwahoddir Clare Hammond yn ôl i’r Ŵyl i berfformio rhaglen o weithiau gan Beethoven, Debussy a Stravinsky. 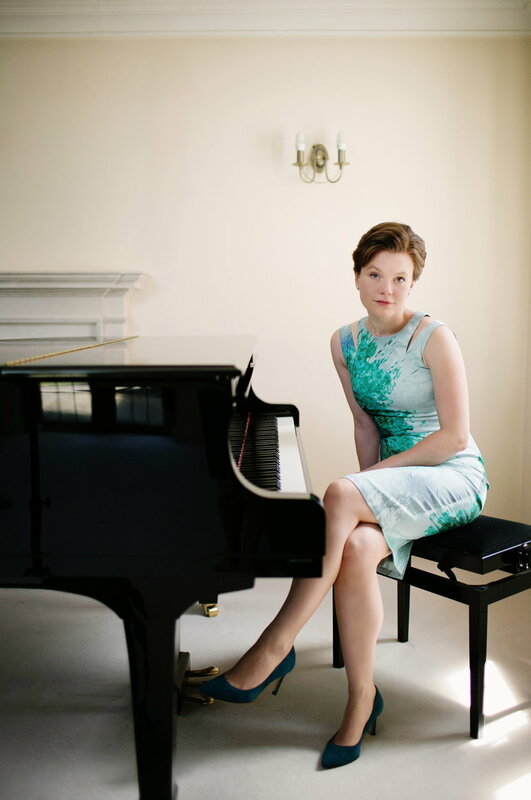 Acclaimed as a pianist of “amazing power and panache” (The Telegraph), Clare Hammond is recognised for the virtuosity and authority of her performances and has developed a “reputation for brilliantly imaginative concert programmes” (BBC Music Magazine, ‘Rising Star’). She recently won the Royal Philharmonic Society's 'Young Artist Award', in recognition of outstanding achievements in 2015. Highlights in 2016 included a performance at the Royal Festival Hall with the Philharmonia, and a concerto tour of Poland, with a newly discovered work by Josef Myslivecek, a mentor of Mozart. Over the autumn, Clare curated three concerts for the BBC at the Belfast International Arts Festival, which were broadcast in November as part of the BBC Radio 3 Lunchtime Concerts series. Future projects include the premiere of Edwin Roxburgh’s Concerto for Piano and Winds with the BBC Symphony Orchestra and world premiere recordings of two keyboard concertos by Myslivecek with the Swedish Chamber Orchestra and conductor Nicholas McGegan for BIS Records. Clare completed a BA at Cambridge University, where she obtained a double first in music, and undertook doctoral study with Ronan O’Hora at the Guildhall School of Music & Drama and with Professor Rhian Samuel at City University London.